HERE They Provide the Facts! I read this recent article published today in The Nutrition Source – Harvard School of Public Health entitled Sugary Drinks and Obesity Fact Sheet. It breaks my heart to read the information below. Yes, I’m using all the melodrama with this one, but I feel like it’s called for. Below are some of the facts that are completely disappointing and why our country needs taxation on sugary products. If smokers have to pay increased tax so should soda drinkers…BOTH are detrimental to our health. Beverage companies spend approximately $3.2 BILLION marketing carbonated beverages in 2006, with nearly half a billion dollars of that directed at children ages 2-17! It’s time for us to make the “right” choice for ourselves and our children. Let’s choose health. Let’s choose to make our lives fit and healthy with real food. Let’s remember that our choices have a direct effect on what the food industry puts out. WE have power. Let’s choose to use it. I can see US GETTING FIERCE! This entry was posted in FIERCE HEALTH, FIERCE- ISH and tagged health, obesity, soda, studies, sugar, weighloss by GETFIERCE TRAINING. Bookmark the permalink. 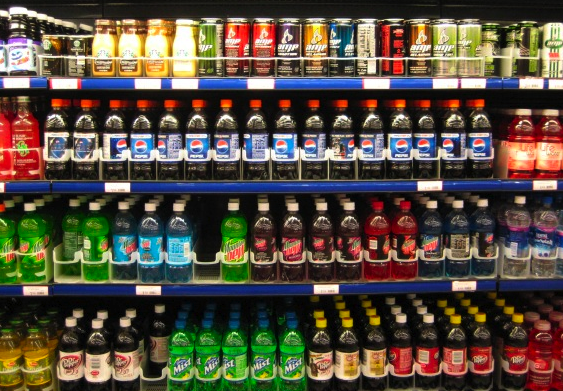 Who will decide how much various drinks are taxed, based on sugar content? As a dietitian, I should be happy that such a taxation plan would increase government demand for dietitians. But we don’t need the creation of a new “Food Police.” How much will the Food Police cost us as taxpayers? If drinks are taxed, then should a cookie be taxed? What about that muffin? Who is keeping track of all this? The key is education – I haven’t had more than a sip of soda for 30 years. Why? Because I truly understand it’s really not good for me, and there are other better-tasting alternatives out there. I do support limiting availability of soda at school. We need to teach kids that soda is not an every day, all day kind of thing. But taxation? No. There are two classes I believe no high school senior should graduate without – one is Nutrition, in learning how to take care of their bodies, and the other is Life Skills/Finance 101, where they learn how to take care of their financial lives. We all know pensions are disappearing, and all other plans lean toward the individual investing and understanding financial markets on their own. How is it that we let kids leave high school without at least having an intro to these two basic aspects of taking care of themselves and their lives? Yes to education that helps people make better choices. No to anything that limits the individual’s freedom of choice.